When I first moved to Miami, I was working at the Fontainebleau hotel doing VIP bottle service at a nightclub. I had never worked in a club before, and I'm not sure if it was the environment or the backwards sleep schedule, but for whatever reason I was sick for the entire 8 months that I worked there. I'm not talking about a little sniffle sniffle sickypoo. I would have a cold that would turn into a sinus infection, that would turn into sinusitis and bronchitis, and then repeat the process all over again for 8 months straight. I was absolutely miserable. Adam happened to read an article on yahoo about the health benefits of L-Lysine and figuring that we had nothing to lose, we both started taking it twice per day. 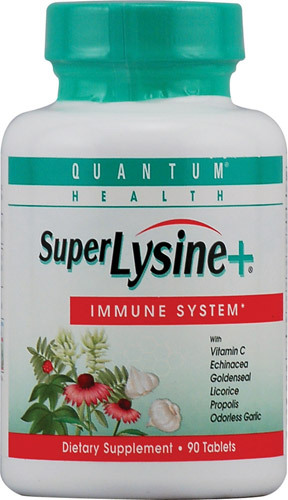 We still take lysine everyday, and in the 2 years that I've been taking it, I've only had cold/flu like symptoms twice. If I know that I'll be traveling, I increase my dosage for an extra immune booster. The particular brand that we take is Quantum Health Super Lysine+ Immune System, which has Vitamin C, Echinacea, Licorice, Propolis, and Odorless Garlic for added immune support. So next time that you're taking a stroll through the vitamin aisle at your health food store, pick up a bottle and be on the road to healthy!